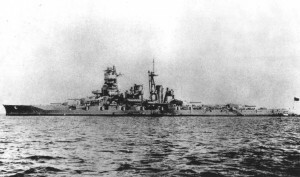 This class consisted of four battlecruisers, namely Hiei, Kirishima, Kongo, Haruna. They were designed and built for the Imperial Japanese Navy (IJN) immediately before World War I. Interestingly, the designer was not Japanese. He was a British naval engineer named George Thurston. This was indeed the last Japanese capital ship constructed outside of Japan. the company was named Vickers and it only affected the lead unit. The rest of them were built in Japan. Kongo Battleship at scale 1/700 made by Fujimi. Further work during 1920s, allowed them to be improved and reclassified as battleships, except for Hiei. 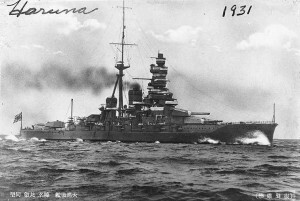 Following Japan’s withdrawal from the London Naval Treaty, all four suffered a massive second reconstruction in the late 1930s. 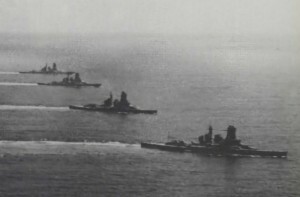 All four battleships increased top speeds to over 30 knots (56 km/h; 35 mph), all four were reclassified as fast battleships. They became the fastest battleships in the world. Haruna Battleship at scale 1/700 made by Hasegawa. 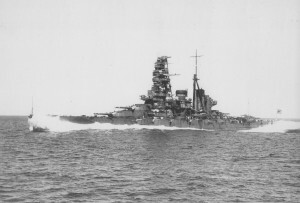 This Kongō-battleship class was the most active capital ships of the Japanese Navy during World War II.